I am a wearer of many hats…a mommy, wife, daughter, sister, friend, ex-teacher, stay-at-home mommy, wanna-be perfectionist but constant mistake maker trying to find a balance between being a mommy, being me and leading a meaningful life. Because of my ‘all or nothing’ mentality (I’m working on this, honest) I was becoming obsessed with how I should be living than actually living. I was worrying about being perfect and missing being present. I realized I needed to change. I started my blog to start my journey of changing my focus from that of being a perfect person to becoming a flawed but meaningful one. There is no one “perfect” way. Just as we expect people to be individuals, our lives should also be a reflection of who we are. The trick is figuring out what you want and the path to take. Here are some of the components of my path. I hope my posts will inspire you to leave the false idea of perfection behind and embrace the art of being meaningful. Together we can find inspiration to live and parent with meaning and intentionality! Below are the categories I write in my blog. Yes, there are a few. Pick what speaks to you and start there! Click on any blue to be automatically linked to those posts! In adventure and travel: Our biggest adventure in September was starting school. I will be going on a mommy adventure to Washington D.C. and Pittsburg in October. Look for fun posts about that!! In food & garden: I’ve posted pics about our gardens growth! It has been much more of a success than I ever imagined. We have really enjoyed this garden as a family and can’t wait for our Fall harvest! It keeps growing, amazing. Our pumpkins are getting huge and orange! See pics here! I was invited by another blogger to try out her meal prep plan for a 6-week time frame!! I am so excited! Here is my post about my experience with Week One of Miss Freddy’s 6-Week Family Meal Plan. Awesome! In living simply: I will continue to post about how leading a simple life can actually make it more meaningful and intentional. Here is an older post about my feelings about being Average. I am not intimidated by being average. In mind & body health: I wrote about my S.A.D. disorder in late August and will re-cap what benefit my light therapy box has had for me…along with some very important supplements. stay tuned!! •Each month there will be a 30 day challenge. May’s challenge was Abs. June’s challenge was Arms. July’s challenge was Thighs, August Good-Bye Love Handles. September my challenge was walking my daughter to Kindergarten uphill .7 miles and back down twice a day. There is a new October Challenge posted! Join me! I will continue to add a monthly fitness challenge, as well as helpful tips on how to look at life with a healthier mental and physical outlook. In kids corner: fun stuff there are activities and crafts to keep those kiddoes busy and out of trouble! Septembers posts are 5 Easy DIY Instruments & Fall Crafts in 10 Steps or Less! In parenting tips & tricks I post about positive Discipline and how I carry out its strategies into raising my girls. I will add a weekly tip related to this philosophy. I will also add any great parenting advice I come across. In keeping with my hopes for more open discussion of emotions and mental health one of the posts I wrote was about Kids & Feelings since emotional Intelligence should start with our children. I’m adding an oldie but a goodie Kids & Quarreling! And in wordpress & writing: I am still enjoying the WordPress writing challenges!! I actually submitted my first writing to a magazine. no word yet….also submitted to a really popular blog hoping to be featured. We’ll see… I also had my 39th Birthday which I wrote a Tanka for. Don’t know what a Tanka is…I didn’t either. Check out My Birthday Tanka Runneth Over. I received a Lovely Blog Award ❤ Thank you! I started my meaningful mommy blog as a personal journey to embrace an intentional and meaningful life. There is no one “perfect” way. Just as we expect people to be individuals, our lives should also be a reflection of who we are. The trick is figuring out what you want and the path to take. I find balance to be my biggest challenge. Here is the month re-cap of just a few of my posts from August. These are usually an end of the month post. Jet Lag, Lost Bag, and Airport Tag, & Travel Woes and Whoas! In mommy & me I share about my kids mostly and my mommy moments!! My oldest daughter just started Kindergarten. In August we were out shopping for her school supplies and I started thinking about a school supply list for moms!! click here for that list 🙂 I also wrote about how becoming a parent has taught me how to reflect on how I want my daughter to feel while she grows up. In We All Have a Voice, What Saying No can Really Mean, I examine the power of the word No. In food & garden: I’ve posted pics about our gardens growth! It has been much more of a success than I ever imagined 🙂 We have really enjoyed this garden as a family and can’t wait for our Fall harvest! See a sample of pics at my posts Our Garden Update & Yard Food: Our Summer Crop Continues. I was invited by another blogger to try out her meal prep plan for a 6-week time frame!! I am so excited! Look for posts about this the end of Sept. In mind & body health: Robin Williams suicide hit many people hard. A shock to us all. I hope that his death at least opens up the discussion of mental illness and depression I wrote about my feelings in the Stigma of Mental Illness. I also wrote A Manifesto: The Need For Emotional Intelligence inspired by a WordPress Prompt. •Each month there will be a 30 day challenge. May’s challenge was Abs. June’s challenge was Arms. July’s challenge was Thighs and For August, Good-Bye Love Handles! In parenting tips & tricks I post about positive Discipline and how I carry out its strategies into raising my girls. I will add a weekly tip related to this philosophy. I will also add any great parenting advice I come across. In keeping with my hopes for more open discussion of emotions and mental health one of the posts I wrote was about Kids & Feelings since emotional Intelligence should start with our children. And in WordPress & Writing: I am still enjoying the WordPress writing challenges!! One favorite was my post Partners in Crime to Fighting Crime, a tribute to putting my husband and his So many great writers to read and learn from. 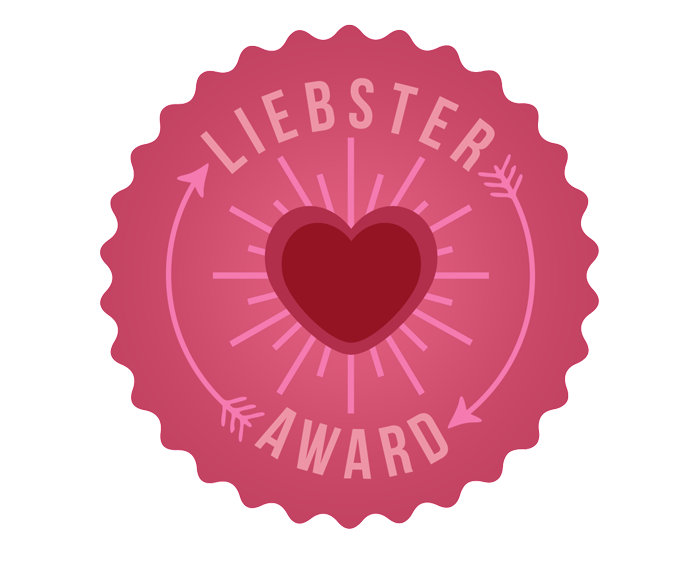 I also received a Liebster Award, Thank you!! I’m up to 150 blog followers and 122 on Facebook! It’s pretty exciting to see. so if you like a post please share it!! Thank you The Not So Secret Life of an Average Mom for the nomination!! Seriously, from one average mom to another you are Awesome, so is your blog!! If I had to give an acceptance speech it would be a bust! All I can think of are my friends who called me Megster…and how that rhymes with Liebster (at least when I say it) I know…ouch! 1. Answer the questions given and then come up with 10 new ones to ask your nominations. 4. Nominations must have under 200 followers. Ok, here we go. The Q&A session…be ready to learn more than you may want to about the one behind Meaningful Mommy!! How long have you been blogging? I started my blog this year in mid April. What’s your favorite dinner recipe? Anything that takes 30 minutes or less to construct. How do you make time to blog? I try to wake up early to blog but I’m too tired…because I stay up too late writing after my sweets are in bed. What appeals to you most about writing? I started writing to clear my head and have something I felt was just about me. I mean it’s about my kids mostly, but something I did for me, because like most moms we mostly do for our children. How long does it take for your kids to mess up your clean house? My house hardly ever seemed clean because their toys were everywhere and they were right behind me taking things out. I recently converted our office into a playroom and now the toys live there. My house now feels so much cleaner! Other than being a parent, what else would you like to blog about? I blog about our current experiences with our first garden, travel, mental and physical health, parenting education and WordPress writing challenges. Obviously I just like writing. How many hours do you actually sleep a night? From 11:30 -1am when my oldest crawls into our bed…Then from about 1:30am until 4am when my littlest requires me to come lay in her bed. Then until 6am when my 145 pound St. Bernard thinks she needs to be fed. So what is that…1.5 +2.5+2=6 hours!! Ouch! Best thing about being a mom / dad? Not bedtime! Oh, the best thing….that for me is when they crawl up into your lap and just snug in. Like it’s the most safe, comfortable, happy place in the whole world. What’s unique about your blog? I don’t know if it’s unique, but I do try to be honest and help others feel like they too are doing the right things for themselves and their children, while offering helpful parenting tips for the days when you’ve just about tried it ALL! Ok!! On to the fun part!! Here are my nominations for the Liebster Award! I found most of you on the WordPress Weekly Challenge posts where there are so many wonderful writers. Your blogs are beautiful, inspiring and note-worthy in many different ways and I enjoy them very much! I hope you will accept my nomination. 2. Do you have any hopes to write & publish a book? 3. What do you love about writing? 4. If you were stranded on an island with only one book what would it be? 6. Have you been awarded any awards before? 7. What is your biggest challenge when writing? 9. If you could interview anyone (deceased or living) who would it be? I started my meaningful mommy blog a little under three-month ago and it has led me on a personal journey to embrce an intentional and meaningful life. There is no one “perfect” way. Just as we expect people to be individuals, our lives should also be a reflection of who we are. The trick is figuring out what you want and the path to take. I find balance to be my biggest challenge. Here is the month re-cap of my posts in June. This end of the month post allows me to self-reflect and see where I want my path to head next. So…. Seated yoga poses for the airplane: I’m hoping these help ease the restlessness wiggles my 3 & 5 yr old will be bound to have…who am I kidding…I will need this too!! The benefits of family travel: I know that giving our children the gift of traveling abroad and in our own country and neighboring areas trumps all material gifts we could ever buy! With travel I have no regrets! Live Music! : There is something about live concerts that just move me. Music is just so much better when heard live. This year I am going to try to see more live venues. In food & garden: I wrote about what our garden has taught us! I wrote about our horrible tent caterpillar infestation, yuck!! I still haven’t built my composter, but I really want to! After our trip it will happen!! Our garden is growing and we can’t wait to harvest our produce! I’m still hoping to add simple recipes that taste great using real food (food in its original form). Food doesn’t have to be complicated. There will be Gluten Free, Yeast free, Dairy free, Vegetarian options included. 🙂 yum!! I did take part in another blogger’s (The Fashionista Momma) Facebook raw food week-long challenge! That was eye-opening! I will continue to post about how leading a simple life can actually make it more meaningful and intentional. •Each month there will be a 30 day challenge. May’s challenge was Abs. June challenge was Arms. July is Thighs!! •I wrote about how Body shaming can accidentally happen even when we think we would never do that. Have you asked anyone if they were pregnant lately? If yes, read this!! Brene Browns Parenting Manifesto…Check it out! It’s AWESOME!! I started my meaningful mommy blog a little over a month ago and it has led me on a personal journey of leaving the false idea of a perfect life behind, to moving toward actually living a meaningful one of MY design. We all deserve to be happy living the life WE see fit. Just as we expect people to be individuals, our lives should also be a reflection of who we are. My hope is that this blog add some smiles, lends a hand with some support to being who you are not who someone thinks you should be, and living a content meaningful and intentional life. I know it is helping me stay focused on how to get my life on the track I am made for, which for me is a simple one. I appreciate everyone who is reading and following along. Your support is meaningful! Here is the month re-cap of my blogs for April/May since I just decided I would do this ( and post it) the last day of the month. It allows me some self-reflection and helps me see where I want my path to head next. So…. In all about mommying I have written about the joys and struggles during my journey of being a mommy. I am constantly learning about myself and about my children. I am learning to really listen to them and create meaningful experiences. I will continue to write about our relationship as we learn and grow together. I built two pallet gardens ( Make sure they are NOT chemically treated in any way) I had thought that heat treating did not involve chemicals. I have found that in some processes of heat treating that is not true. Just make sure to do your research and find what makes you comfortable. Taking wasted space (our side yard) and creating our multi raised garden bed outdoor space . We now spend the majority of our day in this area. The girls and I love it. They play, help tend the plants and we learn. We have pumpkins, squash, head lettuce, butter lettuce, romaine, red leaf lettuce, strawberries, raspberries, carrots, beets, broccoli, kale, potatoes, our fig tree and sunflowers. Stay tuned for more posts about our garden progress and harvests. How I began to waste less food. stay tuned for my post about my DIY composter. I’m hoping to add simple recipes that taste great using real food. Food doesn’t have to be complicated. There will be Gluten Free, Yeast free, Vegetarian options included. Minimalist practices and how I have intertwined them into our life. Living with ‘only love today’. On Being Average and that it is okay! Each month there will be a 30 day challenge. May’s challenge was Abs. June challenge is Arms. How to write affirmations, positive self talk, positive self-image and mindset. Funny and sarcastic posts that don’t really fit anywhere else. I’m sure I will continue to add some of these from time to time. In quotes & inspiration I add any quotes I find that I find are meaningful or help add a positive outlook on life. These can be anything relating to my mood 🙂 I will continue to find these and add them as I find them! Because of my ‘all or nothing’ mentality (I’m working on this, honest) I was becoming obsessed with how I should be living than actually living. I was worrying about being perfect and missing being present. I realized I needed to change. I started my blog to start my journey of changing my focus from that of being a perfect person to becoming a flawed but meaningful one.